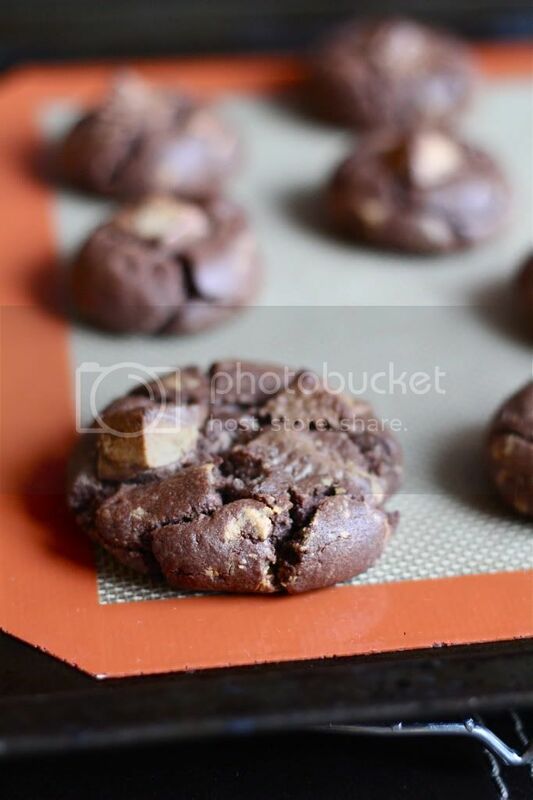 Crumbs and Cookies: chocolate peanut butter cup cookies. It looks like I've hit the dreaded and unavoidable writer's block. Well then, I guess the pictures would have to speak for themselves! 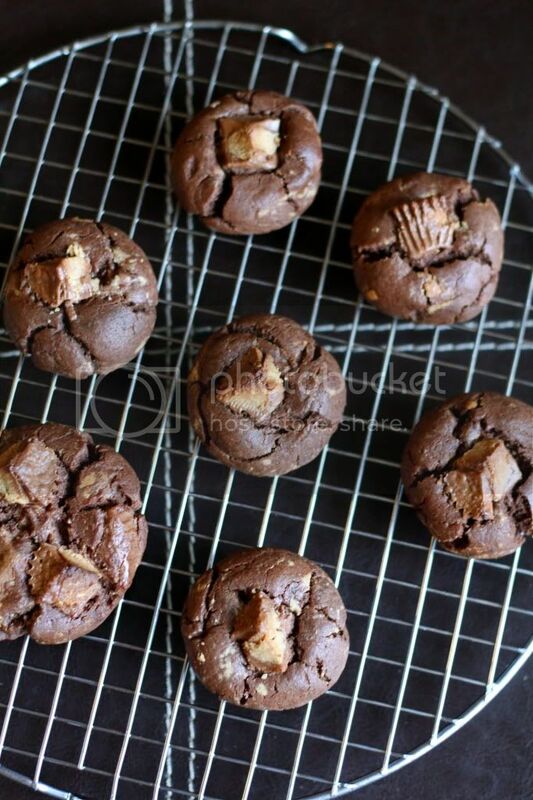 These taste like Reese's peanut butter cup in cookie form, really. A whole bunch of salty-sweet love packed into a cookie. Preheat oven to 350F. Line baking sheets. 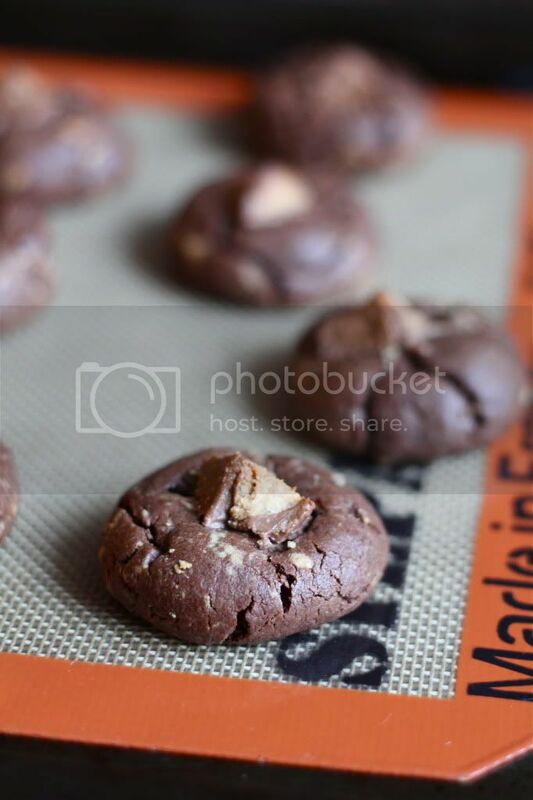 In a medium bowl, combine the flour, cocoa powder, baking soda and salt. In another bowl, cream the butter, peanut butter and sugars together until light and fluffy, about 1 to 2 minutes. Add the egg, vanilla extract and milk. Blend until smooth. Stir in the dry ingredients until just incorporated. Fold in 1 1/2 cups of the chopped peanut butter cups. 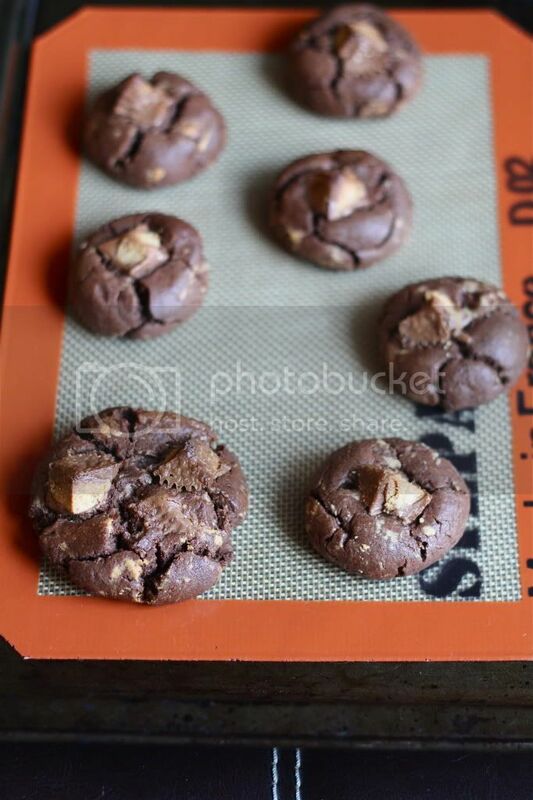 Divide the dough onto the baking sheets, spacing each ball of dough 2 to 3 inches apart. Gently press a few pieces of the reserved peanut butter cups into the top of each. Bake for 12 to 14 minutes. 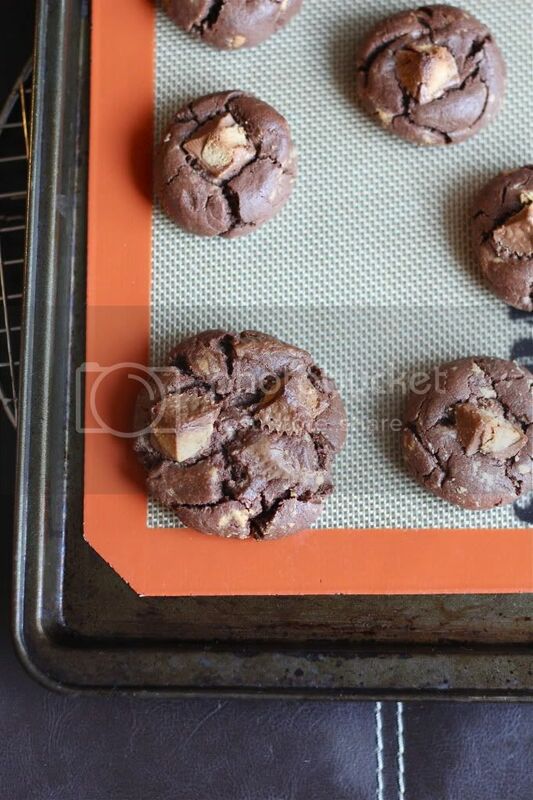 Let cool on the baking sheets for 10 minutes before transferring to a wire rack to cool completely.